Have you ever thought on what to do when disaster strikes? Have you prepared for it? Have you developed a disaster plan with your family? Cebuana Lhuillier recently discussed measures and educate the public about the role of microinsurance in disaster preparedness. When Cebuana Lhuillier stages its first disaster resilience forum last year. 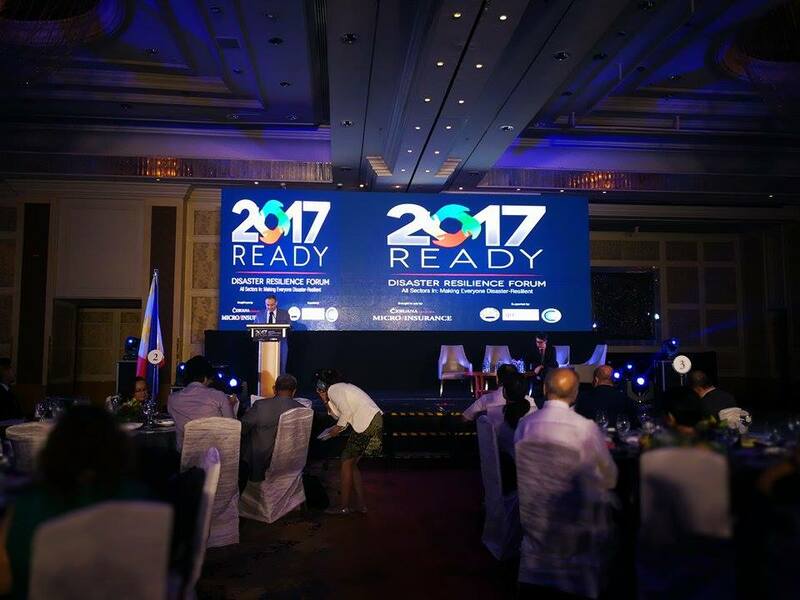 It was a huge success that they once again gathered stakeholders to push for disaster preparedness among Filipinos this year. The event was held on August 9 at Makati Shangrila Rizal Ballroom A&B. It was attended by the nation‟s biggest names in disaster management, risk reduction, and post-disaster rehabilitation and the media. With its theme: ‘2017 READY Disaster Resilience Forum – All Sectors In: Making Everyone Disaster-Resilient’. In partnership with the Insurance Commission, the Climate Change Commission, and GIZ (Deutsche Gesellschaft für Internationale Zusammenarbeit), the event was organized to serve as a platform to discuss measures on disaster resiliency for MSMEs, the agriculture sector, and high-risk communities. It is also a venue to educate the public about the role of microinsurance in disaster preparedness. The convenors and partners of this year‟s forum see microinsurance as a vital preparedness tool, which helps protect Filipinos from the harsh effects brought by calamities. “In the past twenty years, the number of natural calamities and disasters that ravaged our country has affected the lives of millions and impacted 80% of the local economy. To live with the effects of these natural disasters has become the new normal to many Filipinos. We, at Cebuana Lhuillier, together with our partners, the Insurance Commission, the Climate Change Commission and GIZ, believe that now, more than ever, is the best time to work together to formulate strategies that will help us inform, empower, and protect millions of Filipinos against the continuous onslaught of natural disasters,” Cebuana Lhuillier President and CEO Jean Henri Lhuillier shares. 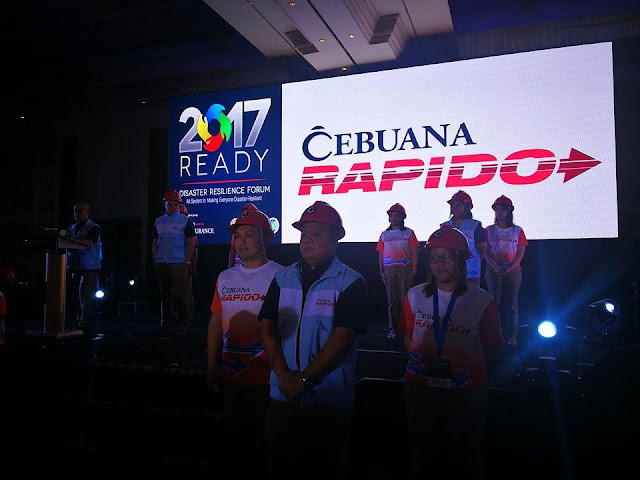 Citing the importance of disaster preparedness, Cebuana Lhuillier Insurance Solutions Vice President and Group Head Jonathan Batangan emphasized the broader objective of the forum. “For the second year of the DR Forum, our goal is to reach out to the most vulnerable sectors of society. As a business with a mission towards social change, we go beyond shaping a nation that is not only financially-included, but also financially-protected. By providing them with the proper knowledge and understanding on the risks posed by natural disasters and the ever-changing climate; and by highlighting the important role of microinsurance in mitigating risks, we are on track in building disaster-resilient communities,” he said. Divided in three parts, the event featured a range of speakers from public and private institutions known to have deep involvement in disaster risk reduction and management. Kicking off the panel sessions were DTI Undersecretary Zenaida C. Maglaya of the Regional Operations Group, Mr. Adel A. Tamano, Vice-President for Public Affairs and Communications of Coca- Cola Philippines, and Ms. Sandra Montano, Founder of Community Health Education Emergency Rescue Services (CHEERS) for ‘Business Unusual: Disaster Resilience for Micro Enterprises’. Leading the second discussion, ‘A Ready Culture in Agriculture: Disaster Resilience for Farmers and Fisherfolks’, were Mr. Jimmy R. Loro, Senior Advisor of GIZ-RFPI Asia, Mr. Jose Luis Fernandez, Philippine Representative at the UN Food and Agriculture Organization, and Mr. Norman R. Cajucom, Senior Vice President of the Philippine Crop Insurance Corporation at the Department of Agriculture. For the third and final panel session, Dr. Renato U. Solidum, Jr., Undersecretary at the Department of Science and Technology and OIC at the Philippine Institute of Volcanology and Seismology (PhiVolcs), and Mr. Ramon J. Santiago, Disaster Risk Reduction Management Adviser to the Metropolitan Manila Development Authority (MMDA) and Head of the Metro Manila Crisis Monitoring and Management Center, discussed the topic ‘Inclusive Preparedness: Disaster Resilience in High-Risk Communities’. Besides the session speakers, the forum also featured Insurance Commissioner Atty. Dennis B. Funa and Climate Change Commissioner Frances Veronica R. Victorio as keynote speakers, while Mr. Michael Rellosa, Chairman of the ASEAN Insurance Council (AIC) Education Committee and Founding Trustee of the Microinsurance Agents Association of the Philippines, and Ms. Cathy Yap-Yang, anchor and managing editor at the ABS-CBN News Channel (ANC), served as moderators. 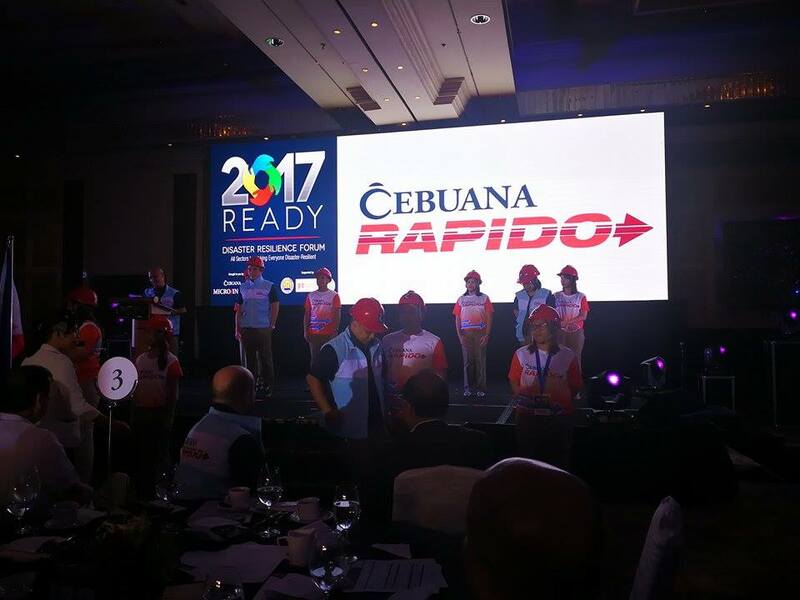 This year‟s event sustains Cebuana Lhuillier‟s disaster resilience advocacy, which was launched in January 2016. The forum held last year was followed by a series of road shows in key cities Baguio, Cebu, and Davao to cascade insights and learnings. Midway through 2016, Cebuana Lhuillier introduced a new product called the Alagang Cebuana Plus (ACP) Gold. The introduction of the ACP Gold coincided with the launch of another project called „National Pilipino Protektado Day‟ (NPPD), which provided free microinsurance coverage to one million Filipinos across the country. 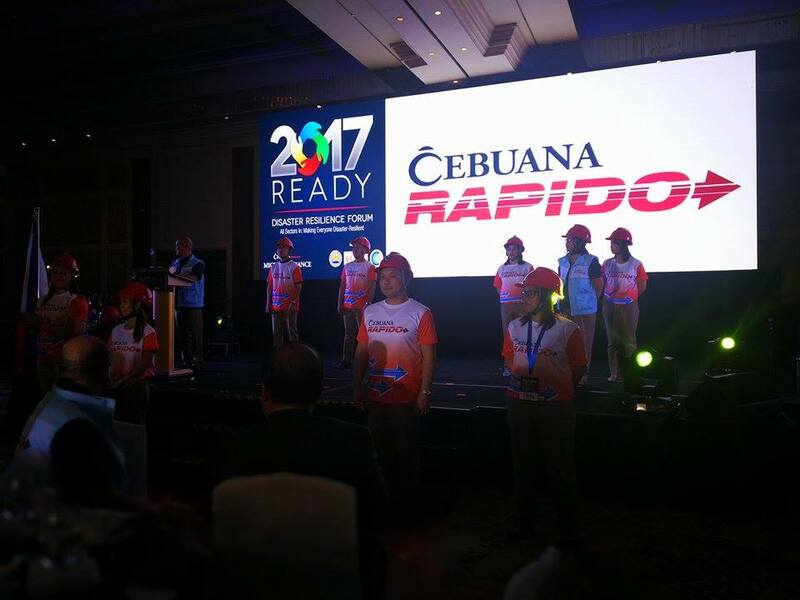 Other initiatives rolled out under Cebuana Lhuillier‟s disaster resilience campaign include the launch of Cebuana Alerto, an Android app that provides real-time disaster-related information, the formation of the Microinsurance Agents Association of the Philippines (MIAAP), an organization founded to promote the interest and welfare of microinsurance agents nationwide, and the introduction of Claims Rapid Action in a Disaster-Stricken Area Operation (RAPIDO), an initiative that enables (CLIS) to immediately process and settle claims right at the site where a disaster had just occurred. Bullion Exchanges is a well known Bullion Seller located in the heart of New York City's Diamond District. Bullion Exchanges have a massive inventory of products like, precious metals that range from the popular gold & silver to the prestigious platinum and palladium. They are offering an enormous selection of products appealing to 1st time shoppers and for established investors.